Alan Jagoe (Incoming Chairman of Agriaware) at the Agriaware AGM. Cork farmer Alan Jagoe (from near Carrigaline/Tracton) has been elected as the new Chairman of Agri Aware. He is to replace Richard Moeran as Chairman of the independent farming and agri-food educational body. 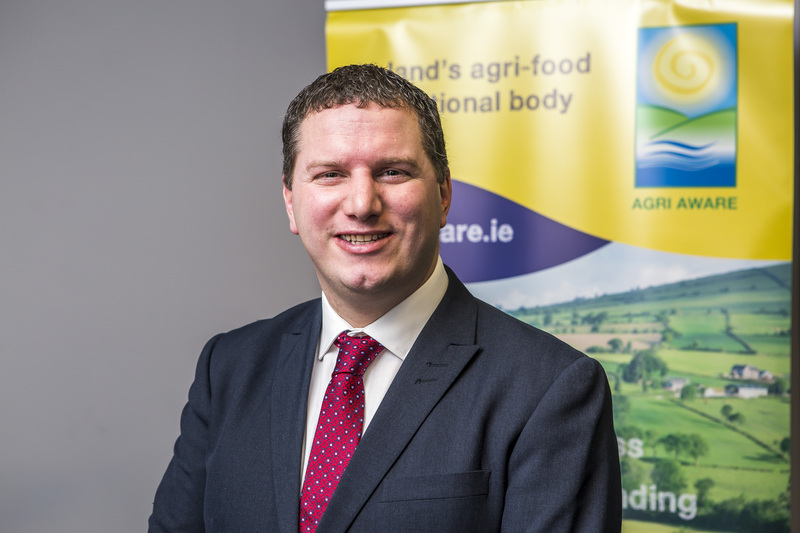 Deirdre O’Shea Executive Director of Agri Aware, congratulated Mr Jagoe on his appointment. 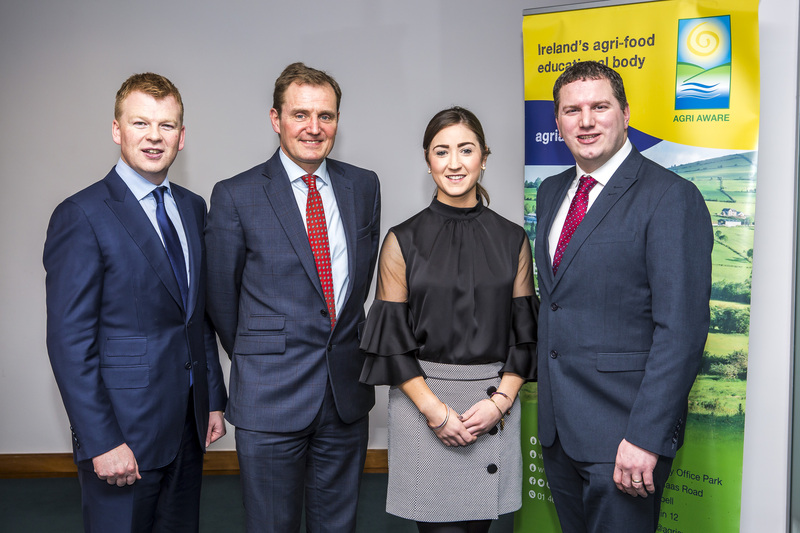 Ms O’Shea said “I wish to thank outgoing chairman Mr. Richard Moeran for his commitment, drive and dedication to Agri Aware, in improving the image and understanding of farming and the agri-food industry among the public. I very much look forward to working with Alan, as the new Chairman of Agri Aware, in continuing to communicate the important role of Irish farmers, and the agri-food industry, in delivering quality, safe, and sustainably produced, traceable food that is affordable for consumers, whilst caring for our environment. I wish Alan well in his new role”. 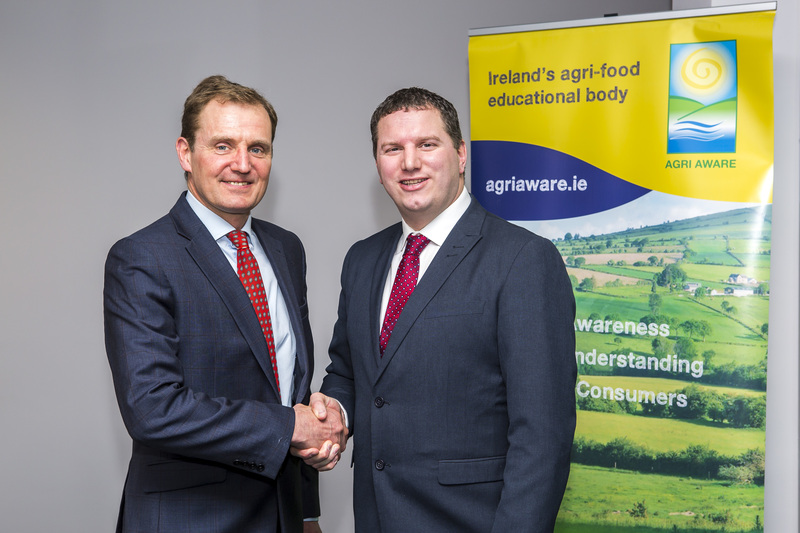 The outgoing Chairman Richard Moeran said “It was a great honour and privilege to serve as Chairman of Agri Aware. I want to thank our founding members and the patrons of Agri Aware for their support over the last four years. As the agri-food sector continues to grow the need for an organisation such as Agri Aware is greater than ever. I want to thank the Board for their support in my role as Chairman, and the staff in Agri Aware for all their hard work. To our Executive Director, Deirdre O’Shea many thanks for your dedication and hard work for the organisation, as well as your support of me as Chairman. To the new Chairman, Alan Jagoe, I want to wish him every success over the next four years, and I have no doubt that under his stewardship Agri Aware will continue to grow and prosper”.